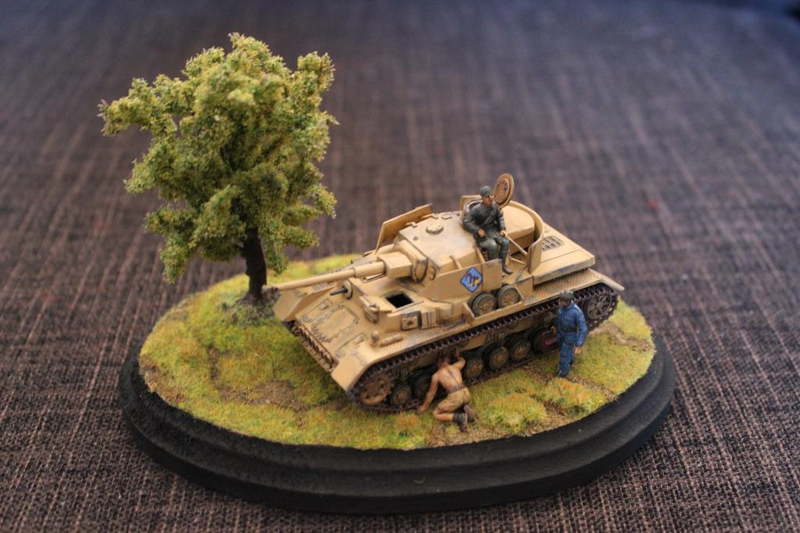 Militaryminis: 1 Divisione corazzata "M"
My first post for a very long time. 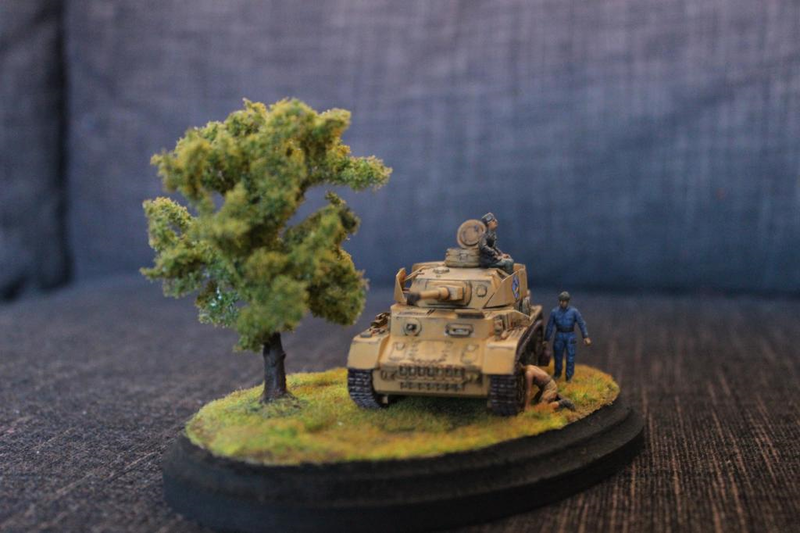 Thought I catch up and post pictures of an old little diorama depicting a Pz IV serving the Italian unit 1 Divisione corazzata "M" during exercises in 1943. The "M" stands for Mussolini. 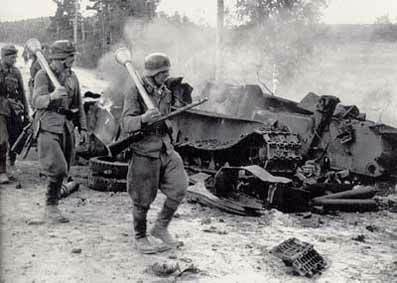 It was a Black Shirt armoured unit equipped with German AFVs (Pz IV, Pz III, Stug III). It never saw any combat as a unit and didn't oppose the overthrow of Mussolini in July 1943. 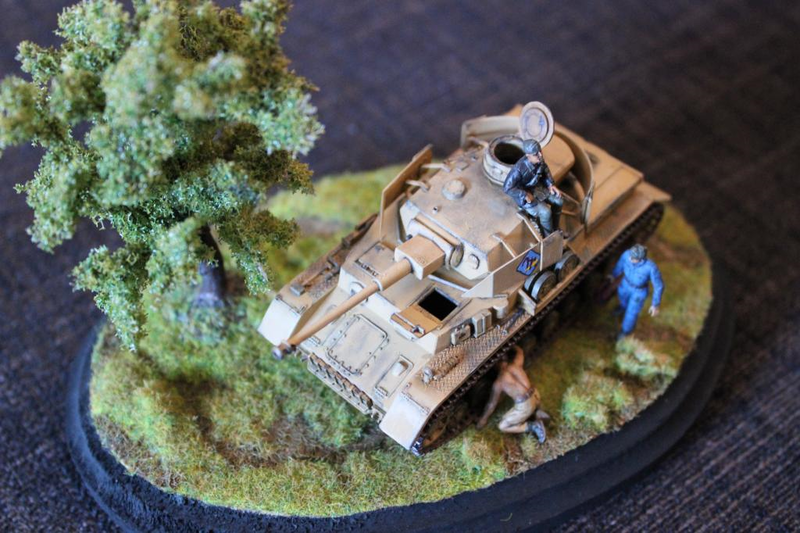 The tank is the old Esci/Italeri with some minor improvements (on the turret and the driver's hatch). The Italian tank crew figures are made by Waterloo 1815. How would the Italians have performed if they had been equipped with better tanks and other heavy equippent from the start?